Steef is a member of the Dutch National Institute of Chartered Accountants and has been working as public accountant since 1981 with PwC. Steef is involved with audits of privately owned (multinational) companies. His experience includes the full range of assurance services as well as consultation on business issues, transaction support and acting as a trusted advisor for many of them. 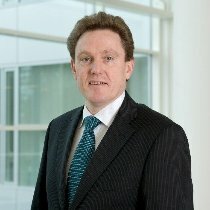 Before being elected as a member of the Dutch Assurance Board to lead the Private Company/Middle Market segement in (2003 – 2008) Steef was a Business Unit leader for Assurance (1997-2001) and Regional leader responsible for the PC/MM go to market approach (2001-2003).